NanoDelta 2013 - The smallest Delta Trike anywhere! El Mirage, February, 2010 - FULL of Water again! El Mirage, December, 2009 - Cold, Clear and Crisp! Santa Ynez, October, 2009 - Ultralight Associations Converge! 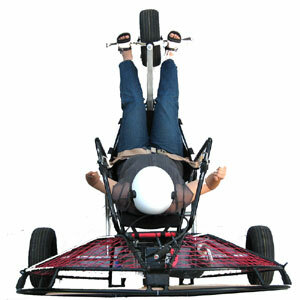 Christoph Bender - Learning to PPG Trike & Flyke! Ozone Viper 15 and TrikeBuggy Bullet V3.0 - Photos by Christoph from Hamburg, Germany! Thumper to 12,000 Feet - Wanna Take You Higher! El Mirage continues to Surprise Us! - This time it's SNOW! El Mirage...and I thought this was a dry lake! - Dec 6th Flight from the Flying "J"
Salton Sea Mini Fly-In - November 15th Weekend at the Stinky Sea! Polo Field, Batavia, IL - Lots of photos of the Bullet! TrikeBuggy NanoDelta Trike - Snap 100 & WW225 on the Basic Buggy, a true Soaring Trike! Bullet at the Beach - TrikeBuggy Boogies along the Coast! Cloud Deck - Flying Above It All! April Balloons - & TrikeBuggy Lineup! Trevor Riches - Doin' the TrikeBuggy Boogie! TrikeBuggy Bullet Deluxe - Springtime is here! TrikeBuggy Bullet Basic - Springtime is almost here! Salton Sea November Fly-In TrikeBuggies, Low Boys, & Quads rule! TrikeBuggy Crunch Time - Greg Bishop packs it into an Insight! Lee's TrikeBuggy - A Rio Puerco, NM Local likes his ride! Basic TrikeBuggy and Ozone's small Roadster - This put a smile on my face! El Mirage WET Lake - Thunderstorms over the Labor Day Weekend filled the lake! Pierre's Cool TrikeBuggy Transporter! - A Trailer Hitch Creation. Jim Smith - Flying his new Monster TrikeBuggy and Ozone Power Rush! TrikeBuggy Delta - Pictures of the first prototype! 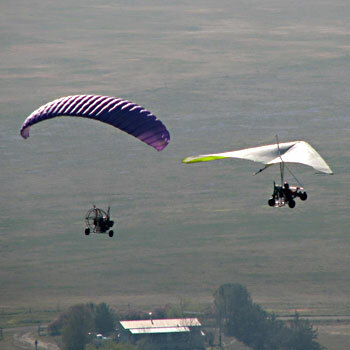 TrikeBuggy Delta Airborne - First Flights on the Delta Hang Glider version of the TrikeBuggy. Magic Mike's Flat Top TrikeBuggy - Setup at Elings, then off to El Mirage Dry lake for it's maiden voyage! John Blair's Deluxe Blackhawk - Dayton PPG's new baby with the new embroidered back pad. Denny's Flying Machine - Dennis Hurdle's Monster TrikeBuggy. Flyin' the Fault - TrikeBuggy flight with Greg Bishop and Johnny Fetz along the San Andreas Fault. 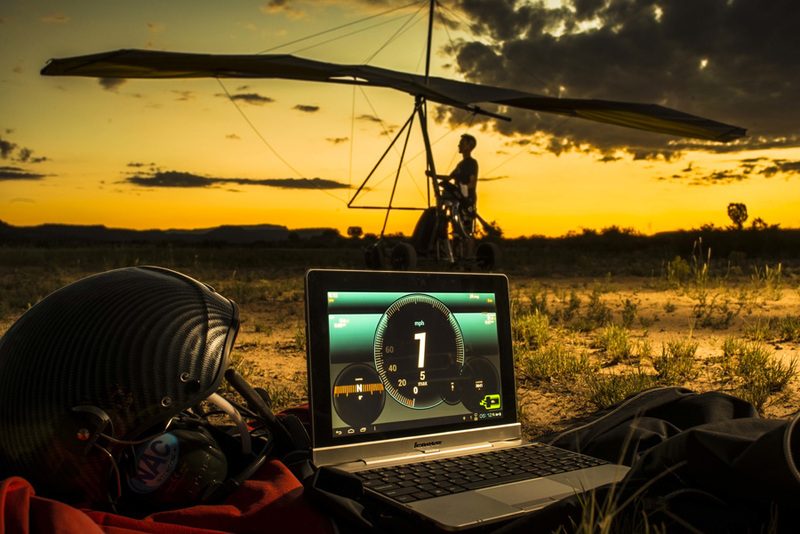 Viper on the TrikeBuggy - First flights on the Ozone Viper reflex wing with the TrikeBuggy. TrikeBuggy Training at El Mirage - First flights on both the Basic and Deluxe TrikeBuggies. TrikeBuggy Tandem - First tandem on the Basic TrikeBuggy. PPG Trike - What is it?